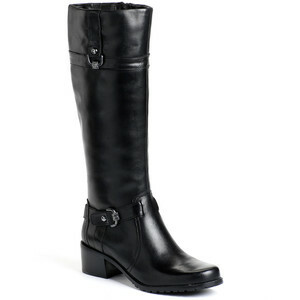 The City Boot, also known as a Riding Boot... or equestrian boot. Knee high, with a full length inside zipper; stacked, block 1.5 inch heel; textured tread ...and fantastically comfortable, this is the perfect city boot! The boot itself... nothing. I love it! It's a little pricier than some other boots but if you like quality, then it's worth the possibility of living on tomato sandwiches for a while.